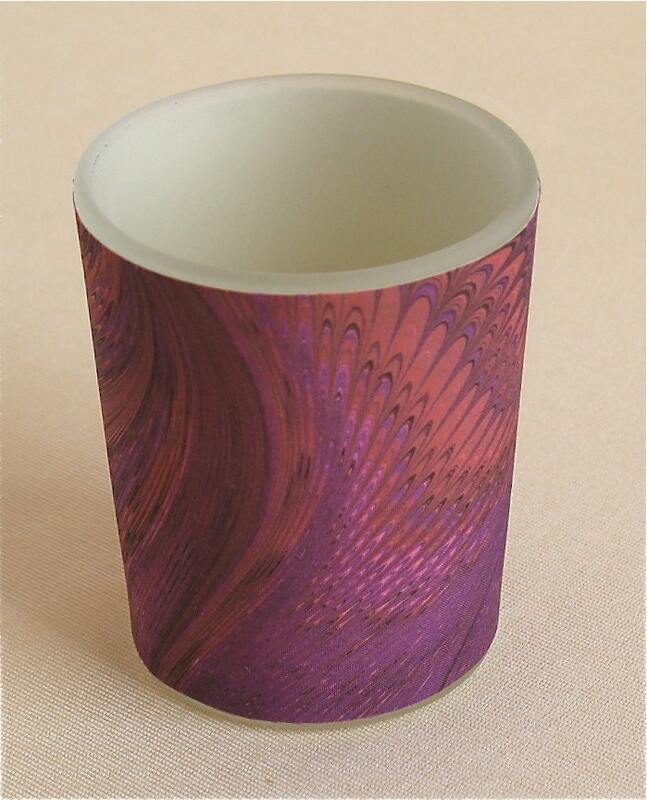 This single votive was created from a left over piece of my marbled silk that I loved so much that I just had to use it on a votive so it could glow. 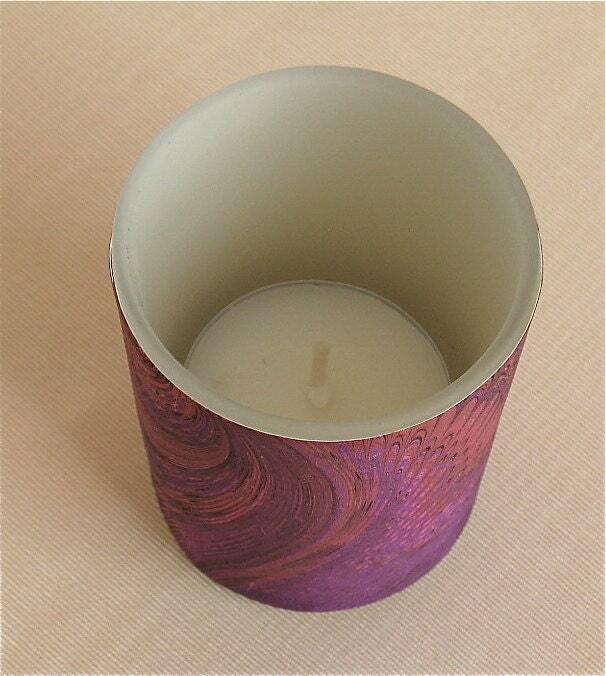 The price listed is for this single votive. Tea lights are recommended to facilitate easy cleaning. 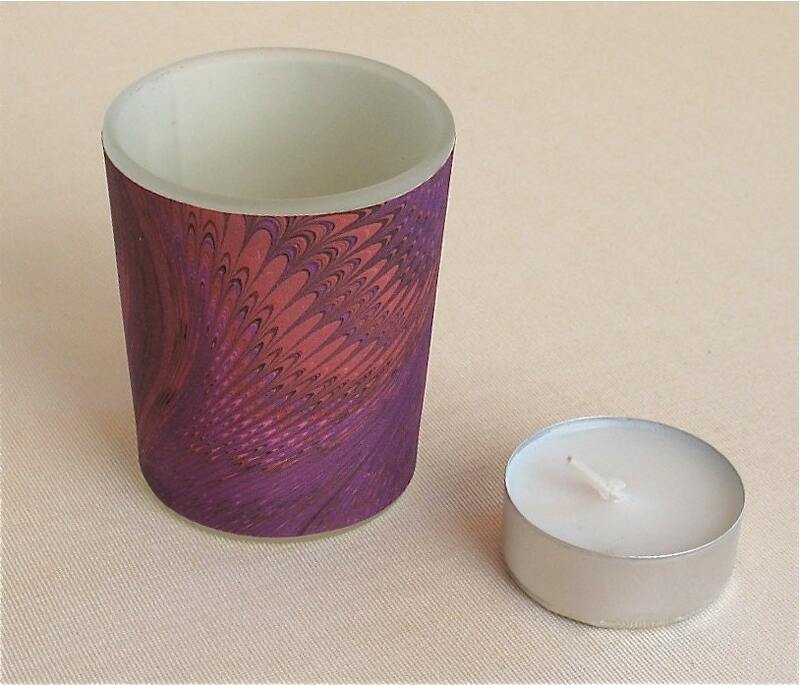 The silk mounted paper is not sealed, so as to retain the natural beauty of the fabric, and therefore the votive should never be submerged or placed under running water to clean. If votive candles are used and you need to remove excess wax, just place the votive in the freezer for a few hours and the wax will pop right out. In the last picture, several votives are pictured in low light lit with tea lights. The votives on the left half of the picture are lit with a standard aluminum cup teal light. The votives on the right half of the picture are lit with a clear cup tea light.